Warm welcome to fl dx group for 2FL2258 Glen, 56FL800 Sami (Membership package posted on 28/9/2018) and 161FL101 Rafal. Warm welcome to fl dx group for 1FL027 Manuel (Membership package posted on 22/1/2018). Warm welcome to fl dx group for 18FL134 Christos (Membership package posted on 19/5/2017). 304FL101 Dmitri (Membership package posted on 27/02/2017). New island contest on 11 meters starting on 15th of October 2016. Check out http://worldislandscontest.jimdo.com/ for more info. Warm welcome to fl dx group for 56FL426 Timo (Membership package posted on 6/10/2016). 56FL001 Timo was active as 56FL/EU101 from Sommarö fort area in Raippaluoto on 30.06.2016. Warm welcome to fl dx group for 56FL090 Sanna (Callsign given on 12/06/2016). This years island festival is held on 04–05/06/2016. Need an 11 meter prefix map for your wall? There is one available at dxmaps.co.uk. Warm welcome to fl dx group for 15FL273 Chris (Callsign given on 05/06/2015) and 26FL333 Mark (Callsign given on 07/06/2015). This years island festival is held on 06–07/06/2015. Club category has been re-introduced and there is now also a category for those teams who are active only on one day. In order to acquaint newcomers and continue to demonstrate the veterans utility, easy handling and operation of ROS mode, European ROS Club invites everybody to participate in the 27 MHz ROS weekend diploma on 24–26/04/2015 on 27.365/27.405 MHz, USB. Warm welcome to fl dx group for 19FL011 Matt (Callsign given on 10/02/2015) and 26FL2664 John (Callsign given on 17/02/2015). Warm welcome to fl dx group for 20FL181 Ove (Membership package posted on 22/12/2014) and 56FL271 Henri (Membership package posted on 14/01/2015). Changes include updated awards management and ClusterDx support (you can also send spots now), and also the export formats have been simplified and improved. This new version introduces the yaLOG! Community Cluster for yaLOG users. In order to acquaint newcomers and continue to demonstrate the veterans utility, easy handling and operation of ROS mode, European ROS Club invites everybody to participate in the 27 MHz ROS weekend award on 5–7/12/2014 on 27.635 MHz. Warm welcome to fl dx group for 18FL341 Makis (Callsign given on 29/11/2014) and 56FL222 Joni (Callsign given on 02/12/2014). Receiver sensitivity measurements for some transceivers on 11 meters by a CBer in Finland. The comments on this chart are in Finnish but the actual sensitivity data is quite self-explanatory; lower µV-value means better sensitivity. Warm welcome to fl dx group for 2FL587 Karen (Membership package posted on 29/09/2014), 79FL740 Jotam (Callsign given on 19/10/2014) and 1FL103 Maurizio (Membership package posted on 7/11/2014). 5th Edition of the IWI weekend (I.W.I Kend) is held on 4–5/10/2014 for a duration of 48 hours. See the prediction on NASA/Marshall Solar Physics website. Warm welcome to fl dx group for 19FL019 Sip (Callsign given on 18/06/2014). Warm welcome to fl dx group for 29FL021 Gary (Membership package posted on 16/05/2014) and 56FL081 Sami (Callsign given on 05/06/2014). Warm welcome to fl dx group for 113FL088 Sudin (Membership package posted on 21/03/2014) and 56FL999 Robin (Callsign given on 21/03/2014). Warm welcome to fl dx group for 56FL990 Kenneth (Callsign given on 24/01/2014) and 56FL264 Matts (Callsign given on 04/02/2014). Maybe this year it's time to work some islands as the Delta Alfa IOTA challenge is running the whole year from 1st of January to 31st of December. The challenge is open for non Delta Alfa members as well and no QSL exchange is necessary, you only need to send the log to the contest manager after the challenge. If you still have some of the old Nairobi IRC coupons laying around, now is the time to exchange them. After 31/12/2013 it's no longer possible. Warm welcome to fl dx group for 56FL316 Markku (Callsign given on 07/11/2013) and 56FL066 Jari (Membership package posted on 15/11/2013). It includes QSL label lookup and printing (using the qrz11.com database) and new date and time controls, received RST can now be logged and there is also other improvements. Remember to backup your old log files before switching to the new version as the database structure has changed. The 5.x (free version) files will be removed from the HRD server on 1st of September. Seems to be around 27.400 MHz currently. A brief user manual can be found at the official VOACAP blog. The sun's magnetic field changes polarity approximately every 11 years at the peak of each solar cycle as the sun's inner magnetic dynamo re-organizes itself. The coming reversal will mark the midpoint of Solar Cycle 24. Half of 'Solar Max' will be behind us, with half yet to come. Warm welcome to fl dx group for 19FL013 Ludo (10/7/2013), 56FL780 Aleksey (10/7/2013), 56FL931 Hans (19/7/2013) and 317FL100 Artsiom. 24 hour ROS marathon will be held on 27–28.07.2013 on CB channel 25 (27.245 MHz) USB. Cluster.dk has introduced an app for iOS and Android phones which is available for cluster.dk lounge members. The online point-to-point HF (3–30 MHz) propagation prediction service VOACAP online has been upgraded in May. You can read more about this on the VOACAP blog. Warm welcome to fl dx group for 56FL567 Teemu and 56FL100 Pekka (Callsigns given on 20/03/2013). DroidProp is a professional HF propagation prediction program powered by VOACAP for your Android phone. 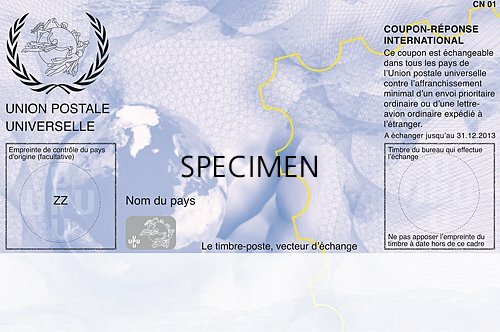 The Universal Postal Union has introduced the newest model of the International Reply Coupon (IRC). The Doha model will replace the current Nairobi model which remains valid until December 31, 2013. Warm welcome to fl dx group for 43FL101 Frank (10/11/2012), 56FL013 Jari (13/11/2012), 56FL060 Ari (14/11/2012) and 56FL121 Juuso (5/12/2012). If you're using digital modes on 11 meters, you might be interested in trying ROS mode on 27.245 mhz usb on Sunday 28 October 2012 between 0600 and 2300 utc. The aim is to be active at this time on channel 25 usb and to produce as many contacts as possible. 56FL018 Jan, 56FL067 Christophe and 56FL108 Jyrki (Membership packages posted on 24/10/2012). At DXproof.com you can upload your qsls and proofs received from 11m dx peditions and browse proofs submitted by others. The international 11 meter cluster is an initiative to create a real 11 meter dx cluster. Warm welcome to fl dx group for 50FL101 Alexander! Malyj Vysotskij was removed from the dxcc list in February. See arrl.org for more info. Warm welcome to fl dx group for 116FL101 Kagan and 116FL102 Ismet! Warm welcome to fl dx group for 56FL215 Mikko! Warm welcome to fl dx group for 56FL997 Niko! Warm welcome to fl dx group for 56FL706 Harri! Updated the log of 56FL/EU101 with qsos made on 02/12/2012 by 56FL113 Panu. I added also couple images and videos to the site. There might also be more sporadic activity from EU-101 in the near future. Solar maximum, are we there yet? Warm welcome to fl dx group for 56FL127 Markku! Warm welcome to fl dx group for 56FL900 Teemu! Warm welcome to fl dx group for 56FL610 Pete! 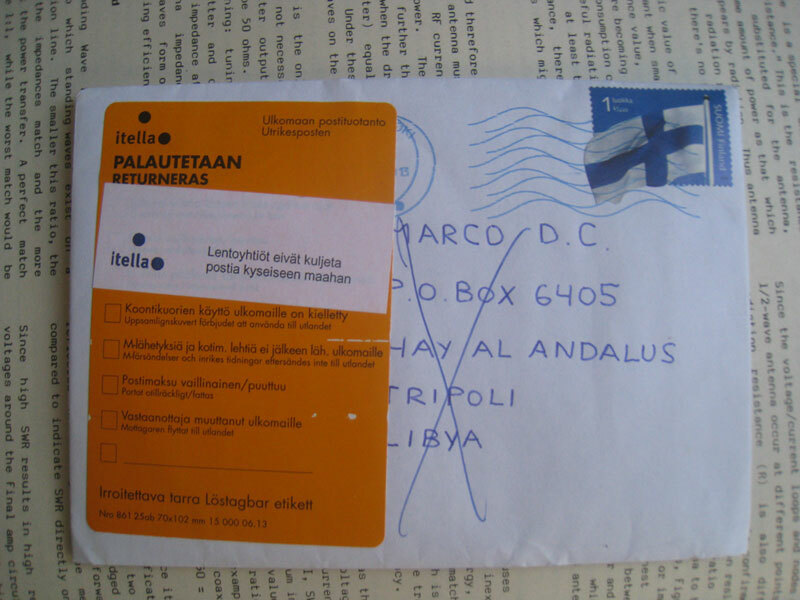 Membership package posted on 17/08/2011. We’ve added general printable 11m channel/frequency chart to our website. We’ve collected a list of links to 11m antenna building instructions. The list can be found here. Warm welcome to fl dx group for 56FL566 Jerri! Warm welcome to fl dx group for 56FL115 Matias! Warm welcome to fl dx group for 2FL101 Michael! Membership package posted on 13/05/2011. Warm welcome to fl dx group for 3FL101 Marcio! FL callsign given on 23/04/2011. Warm welcome to fl dx group for 56FL107 Sami! Membership package posted on 18/03/2011. Warm welcome to fl dx group for 56FL609 Nicklas! Price for the handheld seems to be 249 Euros at least at Alan Electronics and Thiecom. Warm welcome to fl dx group for 19FL444 Geert!